Doctor Who Season 11: Peter Capaldi’s era is already over. But why so? This is because Steven Moffat has completed his tenure as the showrunner. The Christmas 2017 had a surprise for the fans. They need to wait only a handful more months for the new series. The audience must be excited to know more about season 11 of Doctor Who. Read out the article to know more about it. Here we have listed everything which you may need to know about the upcoming installment from release date to trailer to cast and everything else. It has been one of the most watched shows of all time. It won’t be back until the autumn of 2018. So, sit back as there is still time for its arrival. The last run of Capaldi’s and that of Steven Moffat, boss of the series since 2010 took place on Christmas Day 2017 at 5:30 pm on BBC One. For how long, the audience need to wait for the launch of next series? In a conversation with Moffat, Broadcastnow.co.uk explained that “DoctorWho” won’t be ready for its return until Autumn 2018. Along with this Moffat, himself also referred to “the autumn of 2018” as the possible premiere date. The exact date hasn’t been officially announced yet. This is just a rough estimation confirmed by the BBC itself in the month of October. Earlier, whenever any season for the show aired in the autumn time, it’s filming started in the first week of that particular year. Though, the shooting for Doctor Who Season 11 began a little earlier than previous years. It started in late November 2017. Though he apparently was quite close to joining for a fourth series, Capaldi regenerated this festive eve. This means that Chibnall’s first and foremost job as the showrunner has been to employ a new Doctor. 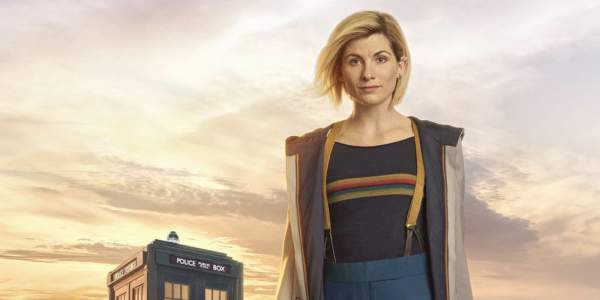 The ‘Broadchurch’ writer has joined hands with Jodie Whittaker again, who has become the first female star to run the iconic sci-fi role in Doctor Who in its history of 54 years. Whittaker has made her debut in the DoctorWho as the Thirteenth Doctor on the Christmas eve in 2017 itself. Jodie’s casting was a tough job and it ended months of conjecture about who’s going to be the next person to take the command of the Tardis, along with former Doctor Who boss Russell T Davies allowing it to pass in early June when he became aware of who’s going to be the next Doctor. Antony Head, Alexander Siddig, and Sacha Dhawan were the peeps who flipped their hat into the ring just before the declaration. And some including Maxine Peake, Richard Madden, Phoebe Waller-Bridge and Adrian Lester just went as far as to rule out themselves. In the meantime, bookies initially recommended Kris Marshall who primarily departed from his prolonged role on BBC One’s “Death in Paradise” earlier this year. Prior to Jodie’s declaration as the Thirteenth Doctor, there had been a prominent supposition that Doctor Who will be running its first female lead. And Capaldi acted among those who uttered he was keen for the idea. Things will be more adventurous to see when Chibnall will be introducing his own companions too along with a new Doctor. Who’s in and out from the TARDIS team? The Thirteenth Doctor’s new friends are Ryan (Tosin Cole), Yasmin (Mandip Gill) and Graham (Bradley Walsh). Tabloid supposition, earlier, had linked the 57-year-old actor and TV host Walsh to one of a companion’s role in August 2017. But nowadays, Walsh has been acting as the host of the popular ITV game show The Chase. He has been acting for almost 20 years and earned awards for his work as copper Ronnie Brooks in ITV’s first series overseen by Chris Chibnall, – Law & Order. How can we miss the great former “Holby City” star and Olivier Award winner, Sharon D Clarke? She will also return for Doctor Who for the next series, playing the part in a returning role. Earlier, in April, BBC declined to pass comment on the report of tabloid that Pearl Mackie won’t be back in the next series but actually, season 10’s finale “The Doctor Falls” did see Bill Potts exit the TARDIS, for going to travel the universe with her dearest Heather (Stephanie Hyam). Earlier, we’ve also perceived the exit of Matt Lucas as Nardole, where the actor too confirmed that he will be leaving the show on Twitter and an official BBC video. Alike that, Michelle Gomez has also confirmed that she’ll be taking her departure from the part of Missy in the show just after the season 10. Hereby, Chibnall needs to hunt for his recast team for the 2018 launch. The official social media accounts of the show released two posters of Jodie in a new stunning outfit as the Doctor by January 2018. Apart from it, the show’s new official logo was also unveiled. Only the trusted sonic screwdriver was missing by that time. It was all revealed in the Comic-con 2018. The new companions of the 13th Doctor are Yasmin (Mandip Gill), Ryan (Tosin Cole), and Graham (Bradley Walsh). Sharon D Clarke will also join the show. Lee Mack will be in a guest role. Certainly, when there is an announcement out that one Doctor will be leaving, the bookies and fans have started putting their suggestions as to who can replace the Doctor coming out from the sensible to completely ludicrous. We can see everyone from Tilda Swinton to Ben Whishaw to Katie bleedin’ Hopkins was seemingly in the argument. As long as you’re looking for a whole list from the very first person to the last who was rumored out to replace Peter Capaldi, we’ve caught you. An official confirmation has been made on the number of episodes to be cast for Doctor Who season 11 in 2018 – the same has been replaced from 12 to 10 episodes. Nevertheless, each episode will be going to be cast for a longer outing – 50 minutes instead of 45. Along with this, we also get to hear that Moffat won’t be showing any contribution to the script this time. Again and again being insisted that he’s done with Doctor Who once he removes his showrunner hat. A whole new beginning can be a turning point with Mark Gatiss, whose contribution to the script every year just from the return of Doctor Who in 2005 was great. But with series 11, he seems to be unsure to work under Chibnall. Chibnall shall be hunting for new ways to write the script for Doctor Who Season 11, the rumor says it all. However, for most parts of the series, both Moffat and Russell T Davies would be developing storylines and some of the episode concepts that either they would make writing by themselves or pass it to others. Chibnall seems to acquire a writer’s room, alike to the one shown on US television. New system says, Chibnall will go for leading a group of writers for hashing out the storylines for each one of the series altogether, even though BBC argued late back in 2016 about the concept of “no fixed model” for developing Doctor Who in the new epoch has been signed upon at that very moment. The directors say Rachel Talalay has been in charge for seven DoctorWho episodes including this year’s Christmas special one that will make her the first to direct Jodie Whittaker’s role as Doctor. But, apparently, Moffat mentions that Talalay always points out her end of the series. No matter what’s going to happen the next, the fact says that the show’s coming in future for sure. Further, in this regard, a recent press release confirmed the coming of not just Doctor Who season 11 but also Season 12 to 15 too. The co-executive producers, namely, Sam Hoyle (Broadchurch) and Matt Stevens (Misfits) will join him throughout this journey. For more updates and news, stay tuned to TheReporterTimes. We’ll be updating the page as soon as we get to hear more stuff about series 11.